The sun sets and the tarsier emerges from the hollow of the fig tree. He is not much bigger than a mouse and looks like a cross between a gremlin and a miniature koala. 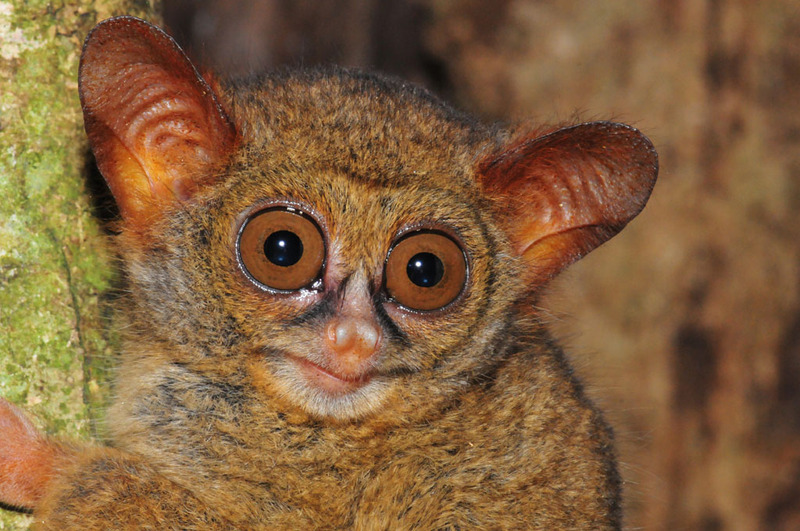 The tarsier uses his honey-coloured, saucer-shaped eyes to look out into the jungle and calculate his next move. He is ready to hunt for his favourite bugs. Located at the foot of Dua Saudara Mountain, Tangkoko National Park in Sulawesi is made up of rolling hills, valleys and three volcanoes. Due to its isolation, Sulawesi has evolved a number of birds and mammals unique to the island. It’s an amazing experience to see the tarsiers in wild. 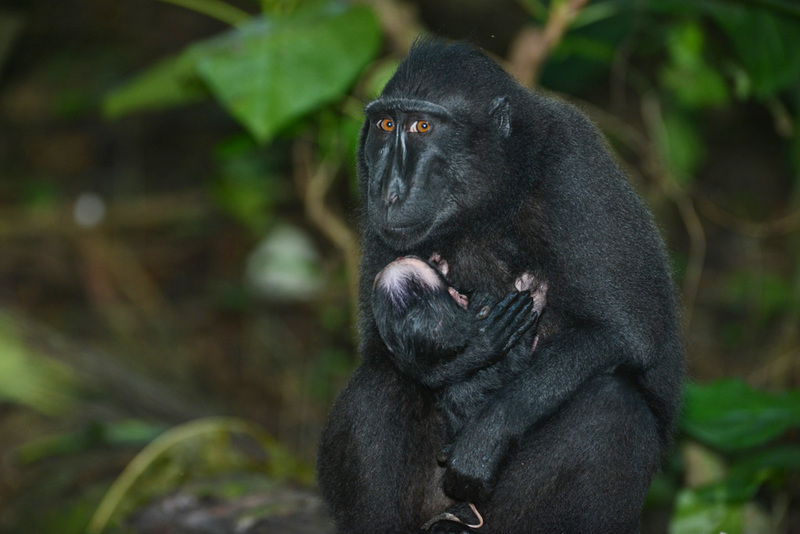 Species include the spectral tarsier, crested black macaque, maleo birds, hornbills and bear cuscus. 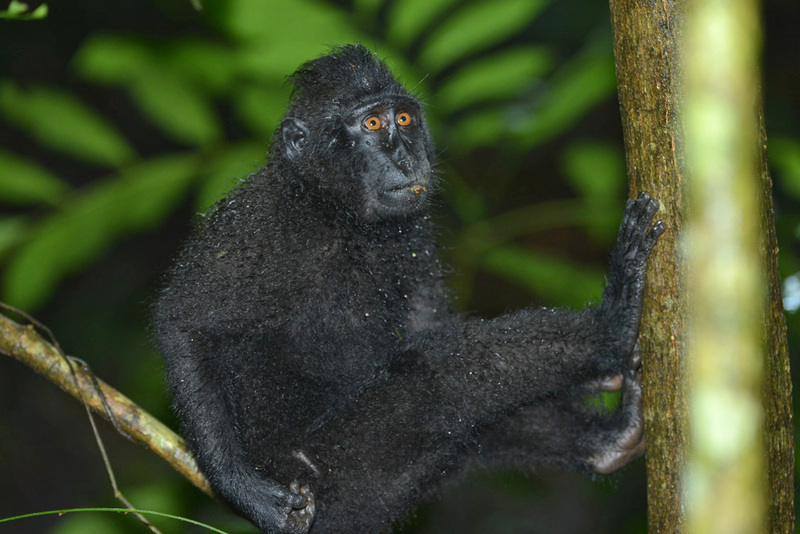 Tangkoko provides one of the last refuges in Sulawesi for these unique species. It is home to 328 bird species, 47 of them endemic, so it is a great spot for bird enthusiasts. For the next few days, we trek into the park every morning and afternoon with our guide Ateng. 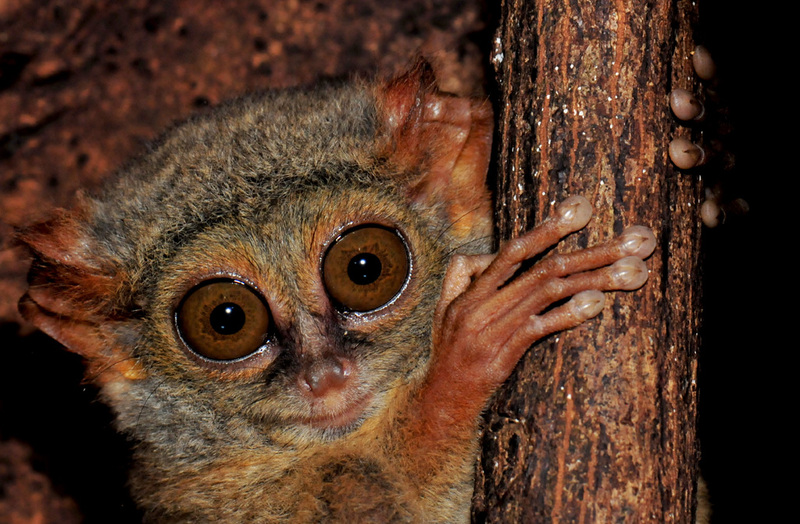 We really hope to see the tarsiers and are not disappointed. 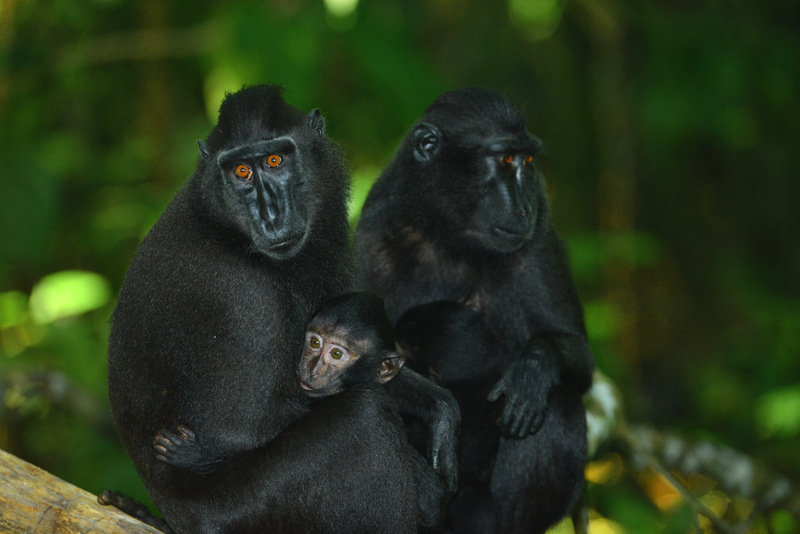 Not only do we see tarsiers we see crested black macaques (whose local name is “Yaki”), red-knobbed hornbills and bear cuscuses eating red figs high in the tree canopies. 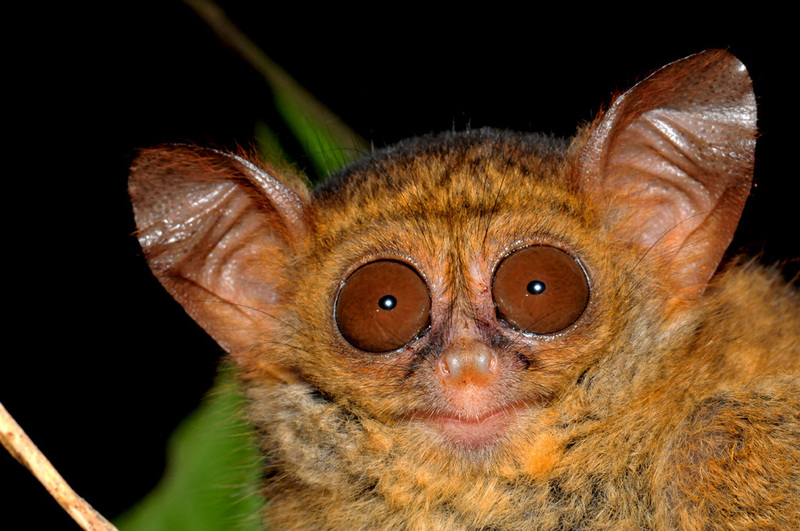 The critically endangered tarsiers live in family groups of two to eight in the dark hollows of giant fig trees, sleeping during the day and hunting for insects at night. As the light dims they become more active, jumping from one branch to another. Hunting is a family activity, and they stay in visual contact with each other. Their eyes are the same size as their brain and cannot move. However, they have a trick up their sleeve – they can rotate their head 180 degrees to spot each other and their much-loved insects. 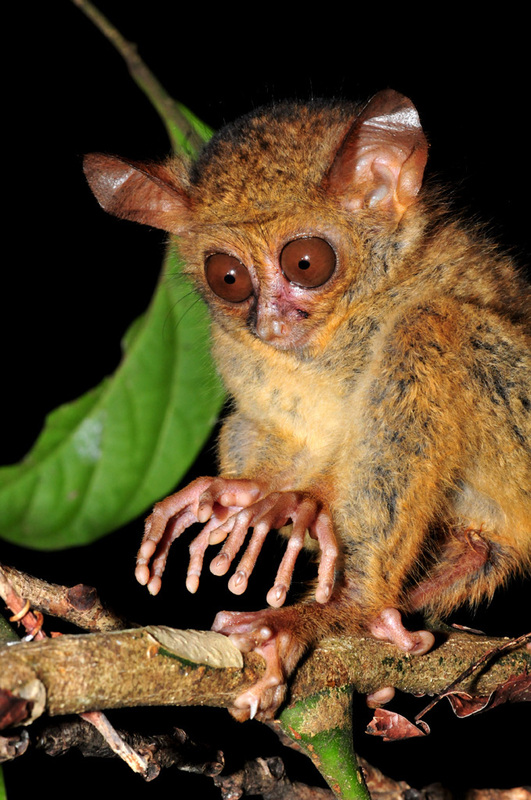 Ateng tells us there is a small chance of seeing a baby tarsier. To improve our chance, we do the dusk trek to catch the tarsiers as they leave the tree for their night of hunting. We also go back to the jungle to catch them returning to their tree at dawn before they bed down for the day. This requires a 4 am wake up, but it is well worth it. We have the tarsiers all to ourselves this time of the morning which makes the experience even more special. We see two babies; last season’s baby born in April and a four-week-old baby. Tarsiers are very family-oriented, and the babies will stay with mum and the family group forever. Those enormous eyes, bony little fingers, pointy bat ears and upturned little mouth, make us wonder how these vulnerable little animals survive. 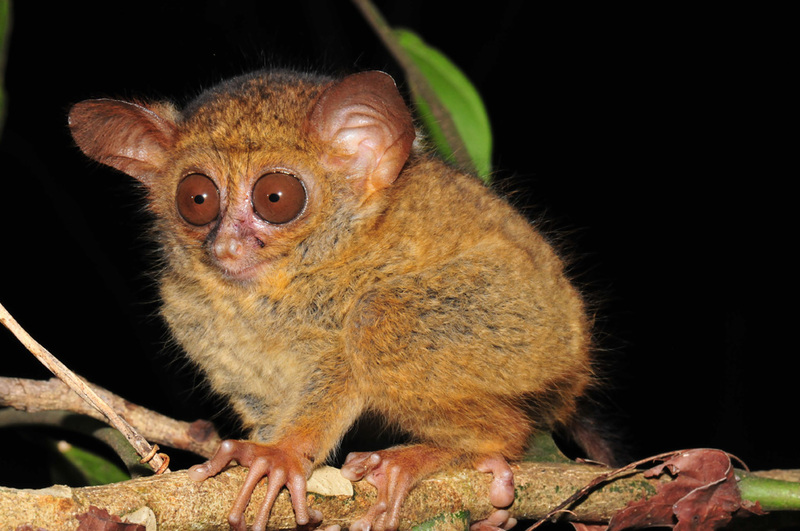 Life is perilous for tarsiers, especially for babies, and not many make it. 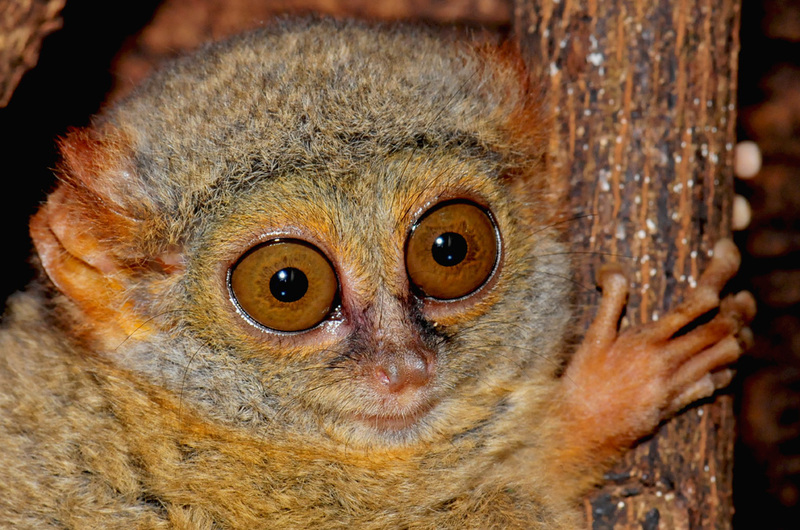 Baby tarsier tries to look frightening. Tarsiers are extremely rare outside the park because of habitat loss and they are also captured for pets. They make poor pets as they need lots of live food and they often die within days of capture. 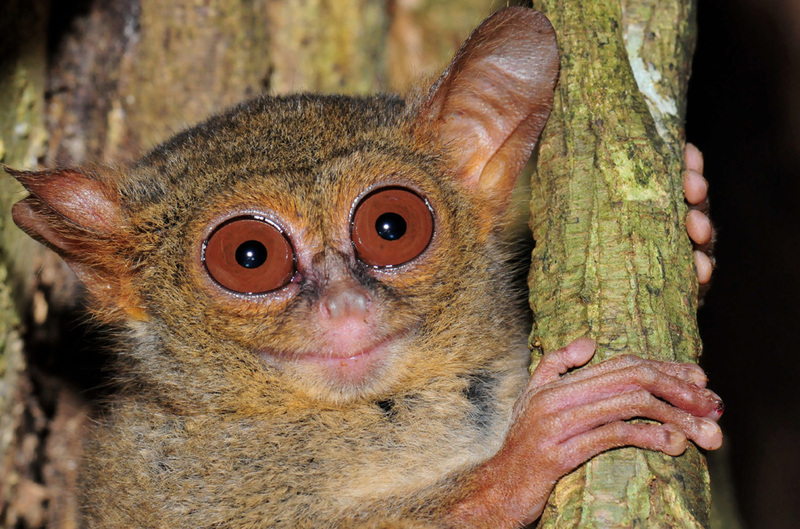 Tarsiers are extremely rare outside the national park. After visiting the tarsiers, we search for the black macaques. 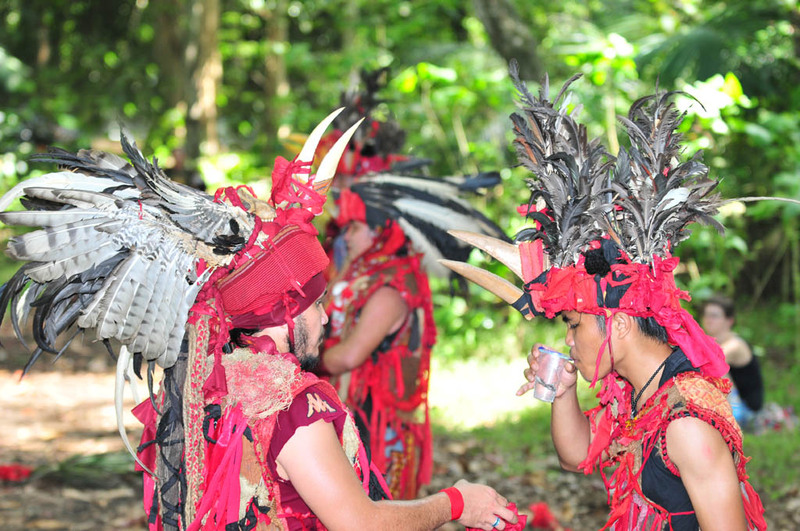 This is also an incredible experience, for once found by Ateng, we are amongst them as they eat the forest’s fruits, groom each other and play. We get very close to them as long as we don’t look them in the eye because they think this is a sign of aggression and it makes them feel intimidated. Led by a majestic male, the troops often make their way onto the beach in the mornings. We see a beautiful newborn baby only about 3 hours old with the umbilical cord still attached. 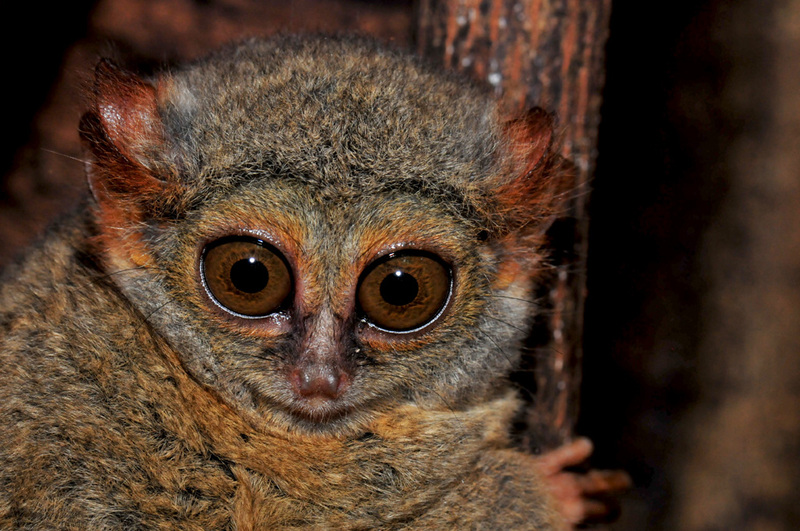 Tangkoko is the best place in the world to see tarsiers in the wild. Here they thrive in a protected and safe sanctuary. 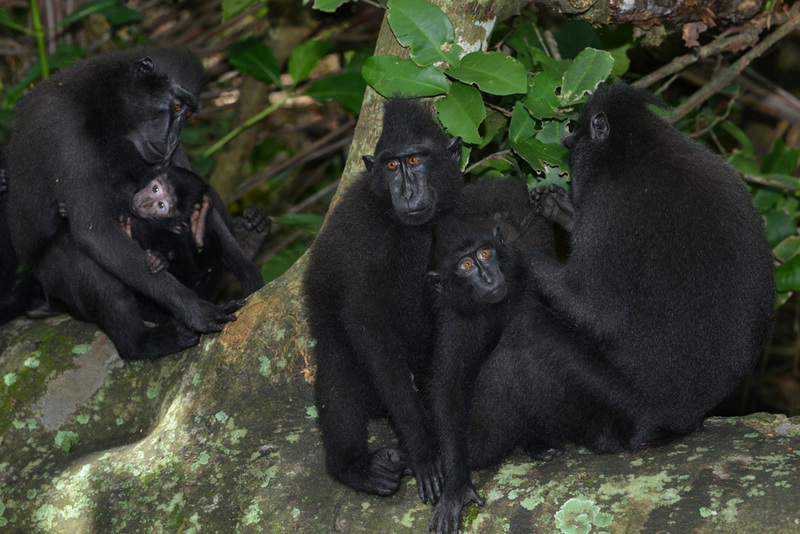 The park also has the only viable population of black macaques, also critically endangered. This special place will help these animals from becoming extinct. From Denpasar (Bali) to Manado there is one flight every day. From Jakarta there are several. From Manado to Tangkoko it’s about a 2-hour drive. There is no public transport direct from Manado to Tangkoko. Take the public bus from Paal Dua bus terminal in Manado to Bitung. Bitung – Take the bus to the village of Girian. Girian – Take the bus going to the village of Batu Putih/ Tangkoko. The entrance to the park is in the village. Batu Putih, the coastal village on the edge of Tangkoko, is a traditional village untouched by mass tourism and development. 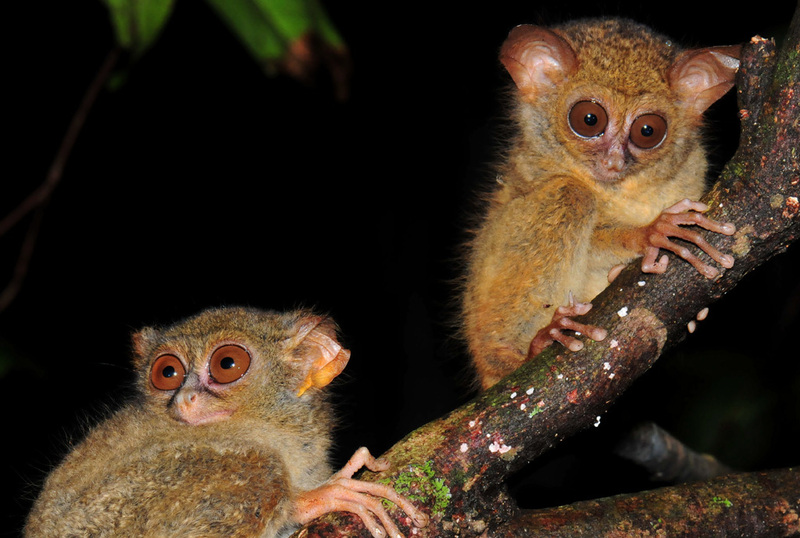 Tangkoko National Park is the best place in the world to see tarsiers in the wild. 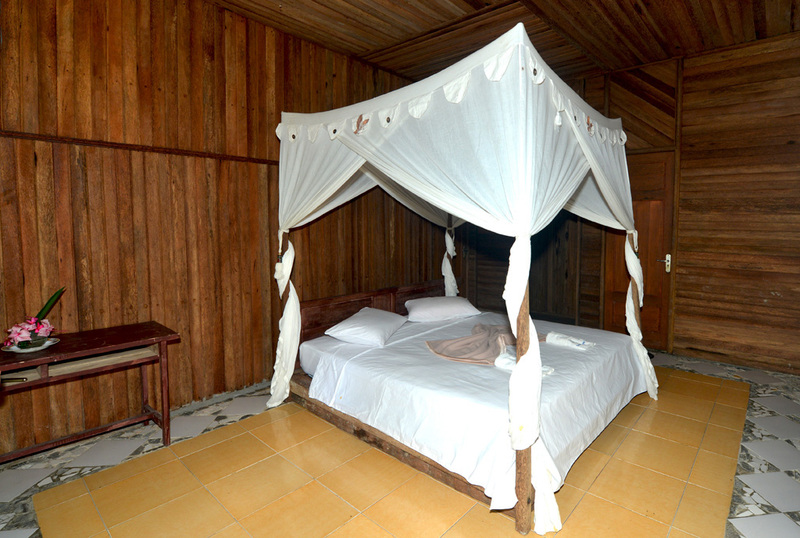 We stay at Tangkoko Dove Villas which are very rustic bungalows with open-air bathrooms. The villas are isolated and about a 10-minute drive to the village. We have since learned that the Tangkoko Dove Villas are not operating. There is a new guesthouse Tangkoko Guest House which is a great and better option as it is in the village and less than a 10-minute walk to the entrance of the park. The village is relatively new to tourism so the infrastructure and accommodation are basic and limited. Ateng can arrange other homestays in the village. We enjoy the vegetarian food. The meals in the village are simple but tasty. 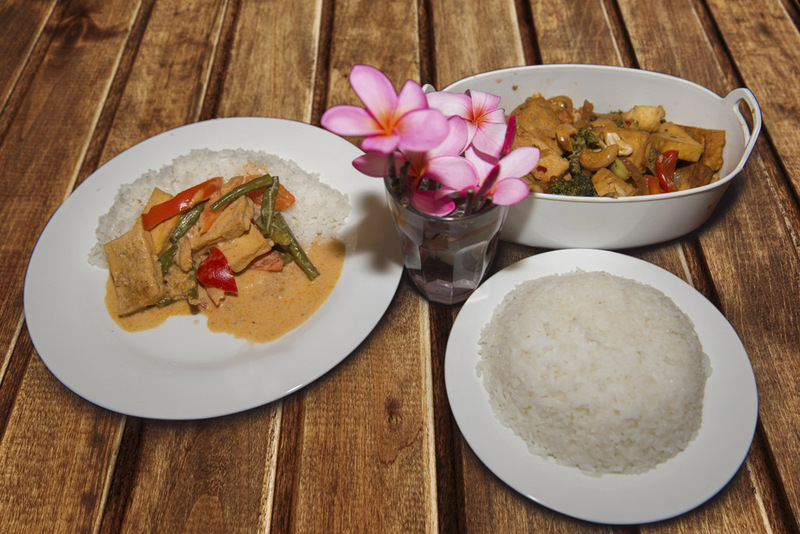 The vegetarian food is generally made up with ingredients of rice, tofu and vegetables that are sourced locally. Our three meals a day cost about 100,000 Rupee ($10 USD). Large bottles of beer about 35,000. Hot and humid all year-round with temperatures ranging from 22°C to 33°C. The wet season lasts from November to March. The busiest time in the park is June to October. The quietest time is January to April. 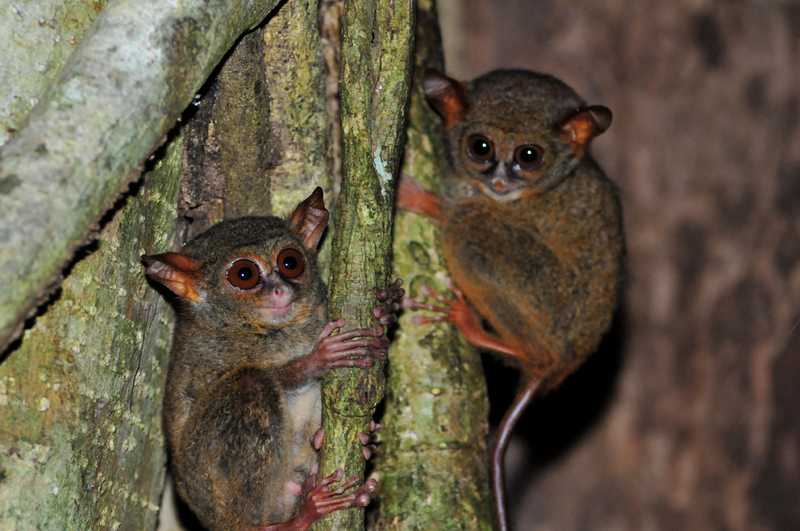 The best chance to see baby tarsiers is from February to May. 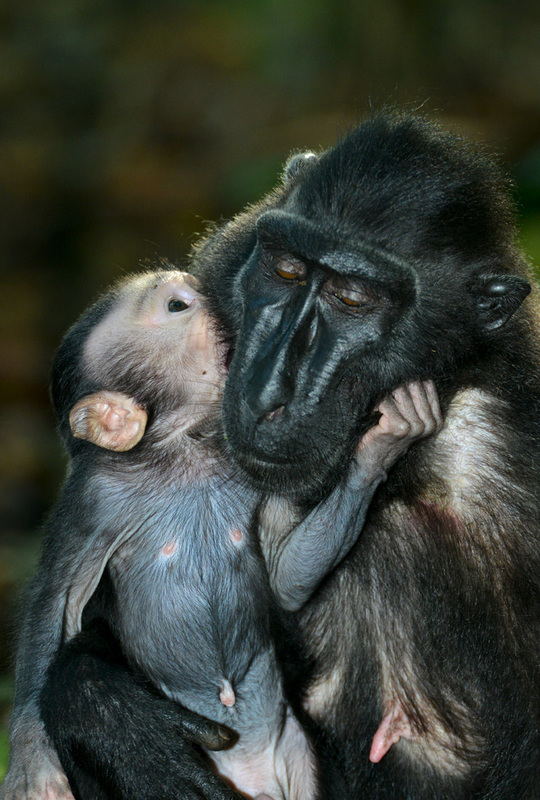 Baby black macaques are born all throughout the year. We have the tarsiers to ourselves at dawn. Our guide Ateng is extremely knowledgeable and genuinely loves the wildlife. The guides really deserve some recognition as they work hard and are often the last line of protection for the animals that call Tangkoko home. 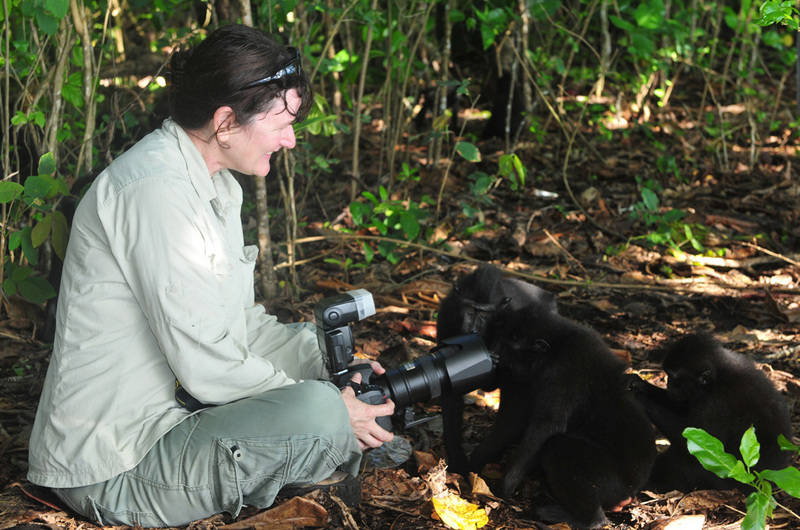 Ateng can also arrange specialised birding tours in Sulawesi and Halmahera Island. 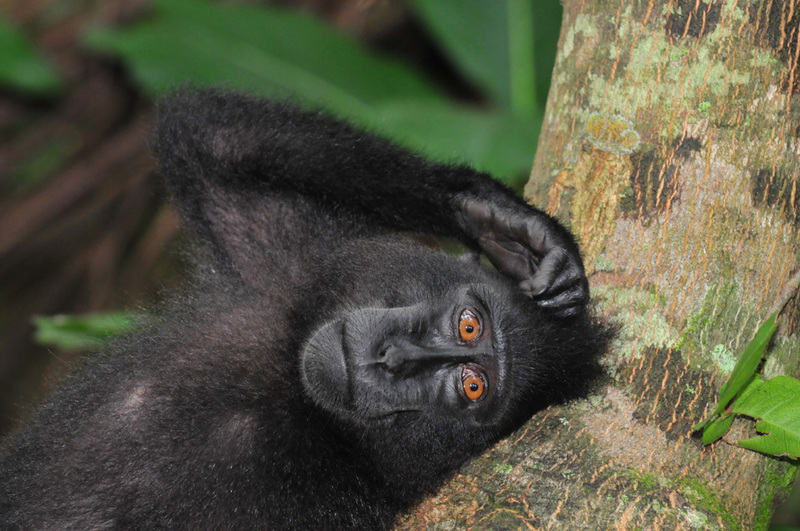 Tangkoko is a special place and will help these precious animals from becoming extinct. Most people visit Tangkoko on a day trip from one of the major cities. We recommend staying in the actual village of Batu Putih and spending at least two days. Many people on a day trip leave disappointed as they come all this way and do not see the tarsiers or black macaques. 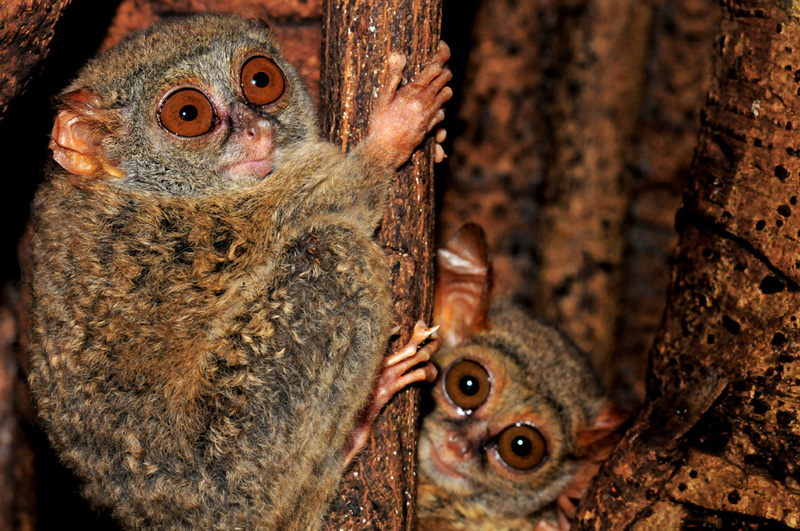 Tarsiers move from tree to tree, and guides can only take tourists to certain trees. During our four-day stay, one morning we spot no tarsiers and the macaques could not be found. More time gives you more chance at sightings. Staying in Batu Putih and using the local accommodation and local guides puts more money into the community, therefore giving them more incentive and initiative to protect their park and wildlife. This off the beaten path village is a beautiful and inexpensive place to spend a few days or more. It is one of our favourite places in the world and we hope to return one day. Visiting Tangkoko independently is possible, though it is compulsory to have a guide in the park. In this part of Sulawesi, there is also beautiful snorkeling and diving. Bunaken Marine Park is known for its variety of coral and fish, and Lembeh Straits has some of the best muck diving in the world. We recommend staying in the actual village at Tangkoko. 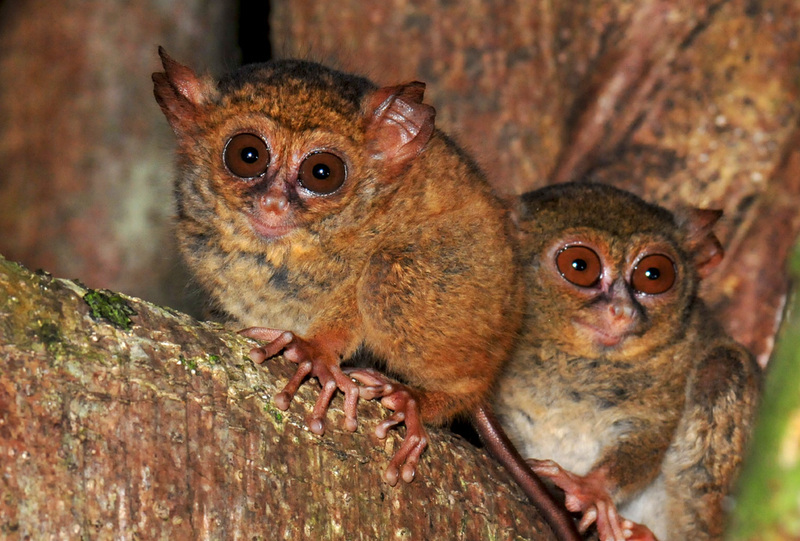 Spend at least two days for the best chance of spotting the tarsiers. Thanks for your positive comments Marie. It gives us so much more motivation to continue our passion of travel and photography. Hi David and Michelle thanks for your great comments. We had this trip arranged with Ateng who is a local guide. He is absolutely fantastic and you will definately see the Tarsiers & the Black Macaques with him. Send him an email and let him know what you would like to see and he will go out of his way to make your time there incredible. These images are beautiful. When I first saw them, I thought they must be in captivity. 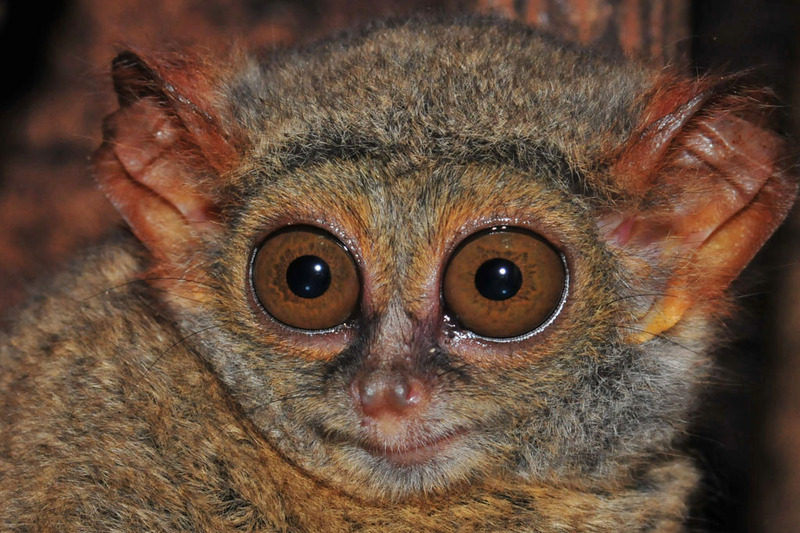 I have never seen such images of tarsiers in the wild. Thank you once again for all this valuable information for travellers and photographers alike. Tangkoko is a magical place and it is incredible to see these in the wild so closeup! If you love wildlife, this place needs to be on your list! Thanks for your comments Rehana. We appreciate them very much. I’m organizing a 10 full day’s work in Tangkoko. Can you suggest me about guides, accomodation ecc ? Many thanks and sorry for my bad english. Thanks so much, I’ll soon contact him!